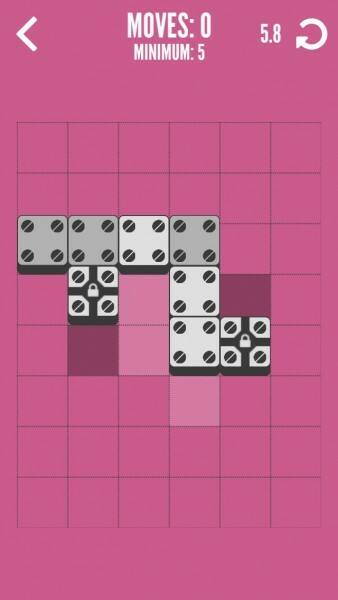 Boxxle (Free) by Mudloop is a challenging puzzle game about sliding blocks into their proper places. Of course, things are not as easy as they seem. 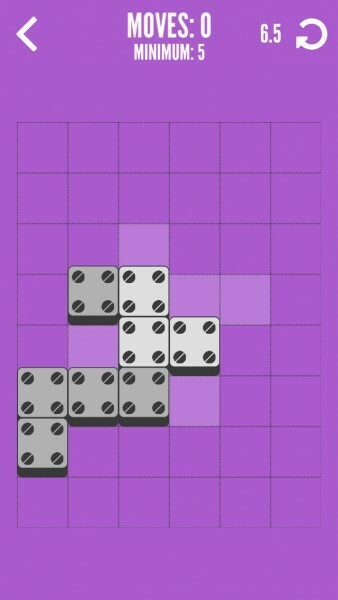 If you enjoyed titles like Tile Enigma and Dwelp, then you’ll enjoy Boxxle. When it comes to iOS games, I will always prefer the puzzle game over everything else. I think it’s because of the minimal graphics that many of these titles contain, but the gameplay is always stimulating, no matter how easy it may seem in the beginning. 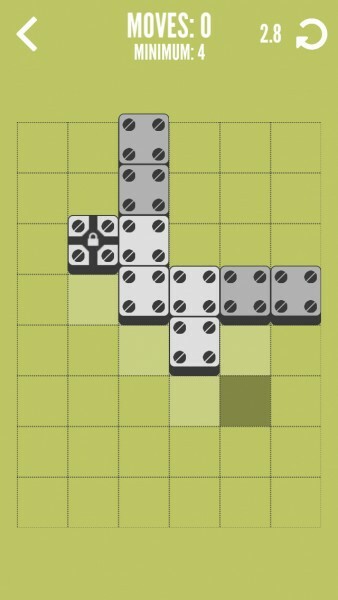 Even though I may be tired from a busy day, one of the best ways for me to relax is with a nice puzzle game. That’s why I was drawn to Boxxle when I saw it in my perusal of the App Store last week. 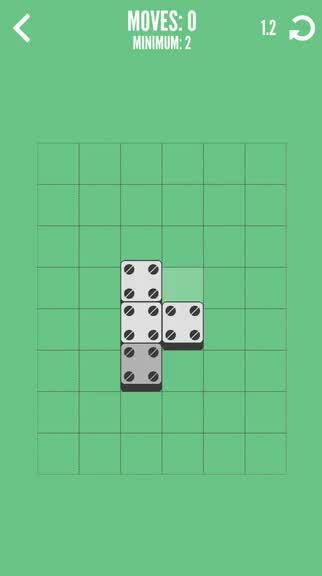 The visuals in Boxxle are simple yet elegant, which is what I always like in a puzzle game. The background colors are soft and eye-catching, progressing from lighter to darker, with a different color representing each level pack. The typography used stands out nicely too, and is fairly legible. Animations are nice and smooth, and while Boxxle does not have a soundtrack, the sweeping sound effects are quirky and soothing. 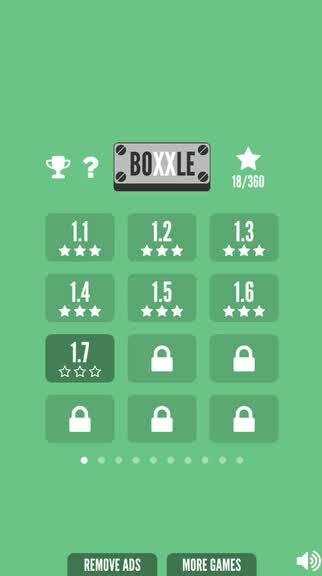 Boxxle features 10 level packs that contain 12 levels in each, so there are 120 puzzles to solve. While the game is free, you are able to play through all of the puzzles without having to pay for them, since the later packs just require a certain amount of stars that you need to earn from earlier levels. 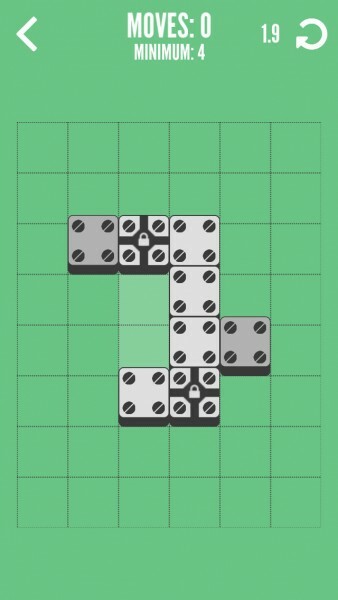 Each puzzle has three stars that you can earn, which depends on the number of moves it takes you to complete a puzzle. The objective of the game is pretty straightforward: move the boxes into the highlighted spaces on the game board. In order to do this, players slide the blocks around with their finger, and each slide into a new space constitutes a move. 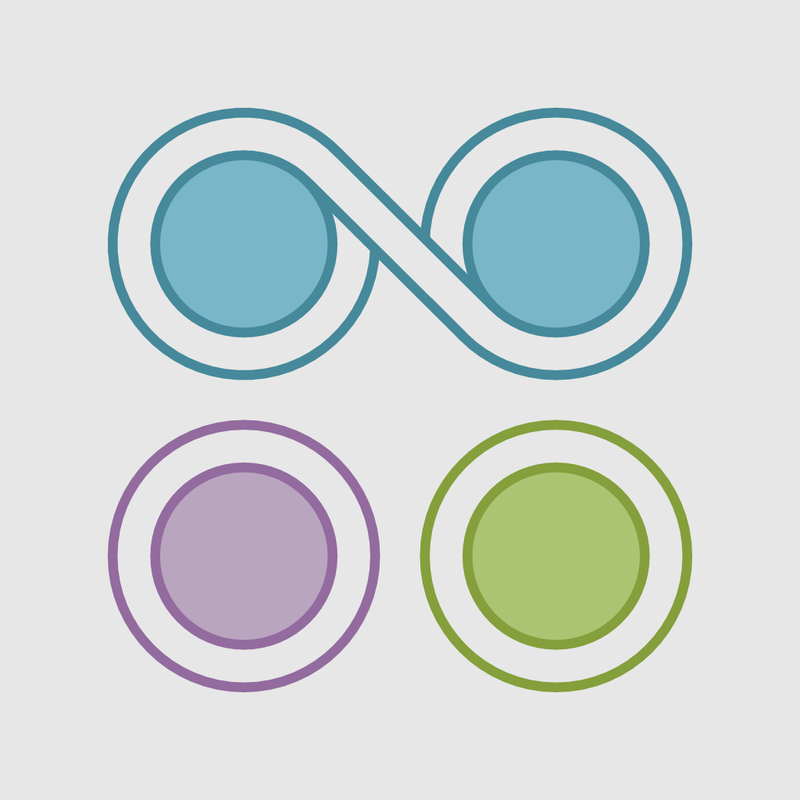 The minimum number of moves to solve it is shown at the top, along with your current amount of moves. 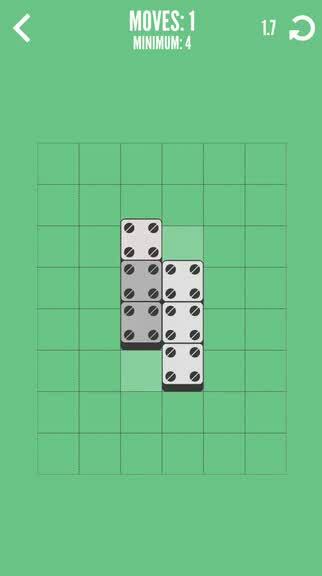 However, individual blocks can’t be moved, because players can only move rows and columns of blocks at once. Additionally, all of the boxes have to stay connected. As you progress into later levels, you’ll find boxes that are locked in place and more complicated shapes that you need to fill. I’m enjoying the puzzles that Boxxle has to offer, but I am a bit annoyed with how obnoxious the ads tend to be. There is an ad banner at the top of the screen, and a full screen video (you can skip after a few seconds) can show up after a few puzzles or so. Not to mention when the game launches, you’ll be shown other games from the developer, and you’ll have to choose “yes” or “no” before you can get to the game itself. You can remove all ads with an in-app purchase (though the price does not show up until after you purchase it), but I just dislike how pushy the ads are. But that is just my one gripe with the game. While I like the gameplay of Boxxle and the stylish visuals, I feel that it’s just too pushy with the ads, and hiding the price is a bit deceptive (it doesn’t show up in the App Store yet as of this writing). 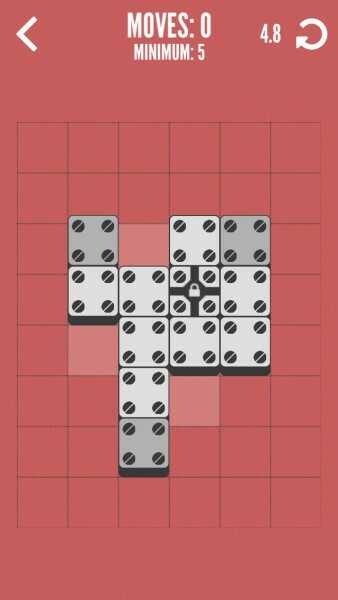 If you think you can get past the overly annoying ads, then perhaps Boxxle is worth a look if you’re a puzzle game fan. Boxxle can be found on the App Store as a universal download for free with in-app purchases.